A billion people per day get their online news through Facebook and with this in mind the social media behemoth has released Facebook Instant Articles to make news articles easier to access. Facebook is introducing “Instant Articles”, which will give news organisations the chance to create interactive content which is much faster to load and simpler to read, especially via a mobile device. This is attractive for firms keen to get their content in front of young audiences, but they will also be wary of handing even more gravitas to the social network. BBC, Buzzfeed, The Guardian, National Geographic and New York Times will all try out the system which means their articles will be hosted on Facebook's servers. This means Instant Articles will appear without the user having to wait as they follow links. With immediacy being the imperative factor in the modern mobile world, Facebook thinks the most important aspect is speed. It can take as long as eight seconds for a news article to load on a phone under the existing system. In demo form, a National Geographic article filled the screen at once, and has photos which can be "liked" individually, embedded videos that autoplay, pop-out charts and maps. Facebook will provide publishers with the tools to create this engaging content. Some companies may use those tools to make tailored content for Instant Articles but news organisations will want to experiment to see if their traffic will improve. 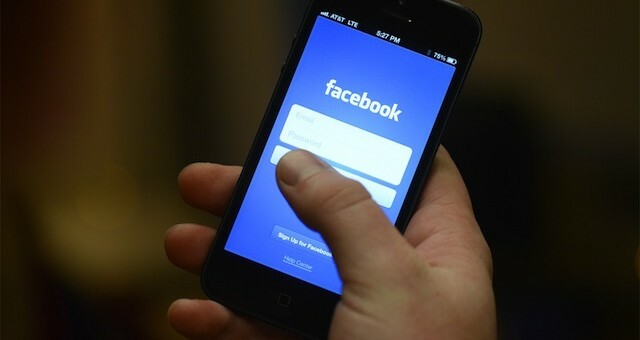 Facebook seems confident it will, and says they will also get 100% of the revenue from any adverts that they have sold. Media groups have watched their traffic from the social network ebb and flow with every change - one day stories can be filling timelines, the next they've disappeared without trace. So the Instant Articles experimenters are treading carefully. An executive at one media organisation said it was difficult to resist getting involved in anything that would put your content on the phones of the social network's users. Facebook, like Google, has always insisted that it is just a technology platform, not a media giant. With its newsfeed algorithm acting as an editor, that has long been a difficult argument to sustain, and now that it will be hosting news articles on its servers it is harder still. Facebook is already richer than any traditional media company - and with that wealth comes ever greater power over how its audience finds out about the news. At the moment Instant Articles is only avilable by application (which can be done here: http://instantarticles.fb.com/) but we suspect that after initial testing you will be able to use it much like the LinkedIn Publisher. How do you think this will change things for publishers and social media marketers? Let us know in the comments below. Apple Bot confirmed. Is an Apple Search Engine in the pipeline?